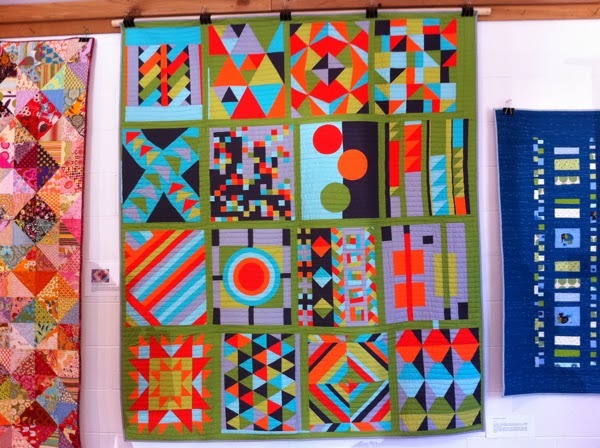 Call for 21st Century Quilts! 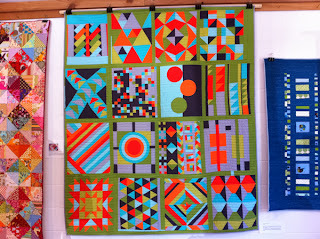 Our PMQG Graphic quilt is likely the first large modern quilt ever documented for the Quilt Index, in April 2013! PMQG is hosting our second Quilt Documentation Day at the Museum of Contemporary Craft in the 2nd floor Lab Space. Fee includes photography, quilt registration, evaluation and assessment. Please register below using the form on this page! We will contact you the week before the event to finalize the schedule and answer any questions. We are so excited to partner with the wonderful Museum of Contemporary Craft for this quilt documentation event, particularly since it will be during their fiber art Common Threads exhibit. 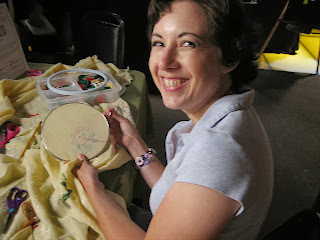 Their New Embroidery Tablecloth, a community artwork in progress since 2006, will be part of the event as well. PMQG members and participants are welcome to contribute their own original hand-embroidery or stitching to it, or of course work on their own hand-sewing projects in the lab space. We would love to have volunteer help at any time throughout the day so please email portlandmodernquiltguild at gmail.com if you're interested in spending part of the afternoon sewing and documenting with us! Note: Participating PMQG members may visit the event without paying the regular individual admission charge (the guild will make a general donation to the museum). 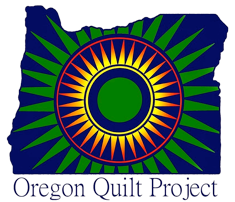 The Oregon Quilt Project started in 2009. The Portland Modern Quilt Guild participated in training in the Spring of 2012. We hosted our first Documentation Day on April 12, 2013. What kind of quilts are documented? The basic process of documenting a quilt is twofold - written information is recorded and photos are taken. All quilts documented in Oregon will eventually become part of the Quilt Index. What is the Quilt Index? The Quilt Index represents years of research and development to bring together quilt information in a centralized online tool for education, research, and public access. The Quilt Index is a joint project of The Alliance for American Quilts, MATRIX: The Center for Humane Arts, Letters and Social Sciences Online at Michigan State University and the Michigan State University Museum.